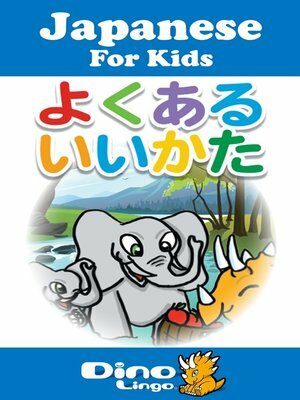 The Japanese for Kids General Phrases storybook will help your child to learn greetings in Japanese: Hello. How are you? Good bye. Thank you. In this story, Terry the orange dinosaur walks in the forest and meets elephants and monkeys. Then, he offers them some food.